Food safety programs like the ones below have been and continue to be an established part of the food safety protocols located both on the farm and in the processing plants. Each system has a third party auditing structure to ensure compliance which leads to safer foods. The following food safety programs can be used in all aspects of food production and have specific requirements based on table egg and egg products. Providing safe, quality food for consumers is a top priority for egg producers across the United States. 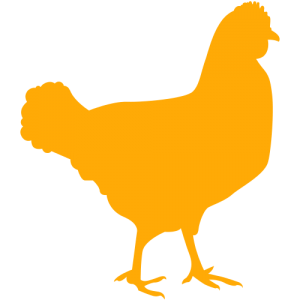 Since the 1990’s, egg producers have worked closely with federal and state agricultural officials as well as poultry scientists in academia and industry, veterinarians, and other industry experts to create and improve methods for the reduction of Salmonella Enteritidis (SE) in the laying hen population. In 1994, the United Egg Producers (UEP) developed the voluntary “5-Star” Total Quality Assurance Food Safety Program to provide egg producers nationwide with a proactive way of monitoring and controlling SE on-farm. The development and implementation of FDA’s Egg Safety Rule in 2009 and the increasing consumer concern surrounding egg safety has led UEP to redesign the “5-Star” Egg Safety Program. This redesigned egg safety program goes above and beyond the requirements of the FDA Egg Safety Rule to provide egg producers with a comprehensive, dependable food safety program from the farm to the processing plant. With the introduction of the Egg Safety Rule and increased attention to egg safety, United Egg Producers are continuously improving and evaluating the program’s requirements to ensure companies following the “5-Star” program are providing safe, quality eggs to consumers. Suppliers are required to complete and document a food quality assessment of the food being produced and its associated process to identify the controls needed to ensure a consistent level of quality. Level 1 and Level 2 certification must be obtained to gain a Level 3 SQF certificate. After achieving Level 3, an SQF-certified supplier is authorized to use the SQF 1000 or 2000 certification trademark (according to the type of certification achieved) to indicate their status as an SQF quality certified supplier. At all levels, egg suppliers are required to meet buyer product specifications and the regulatory requirements of the country in which they operate and the countries to which they export products.